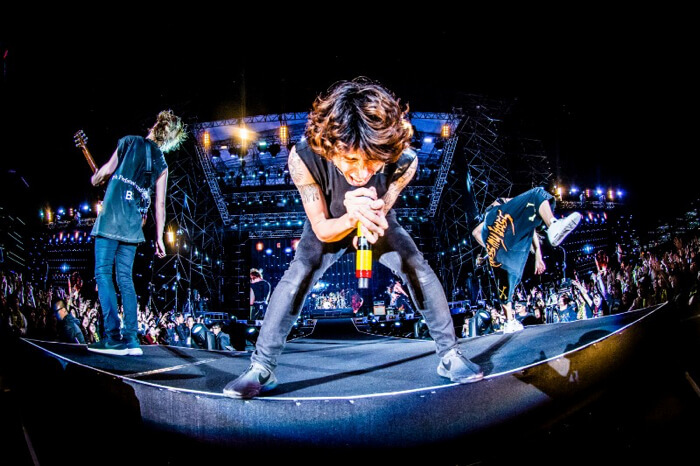 ONE OK ROCK’s Taiwan Concert to Broadcast on Space Shower TV! 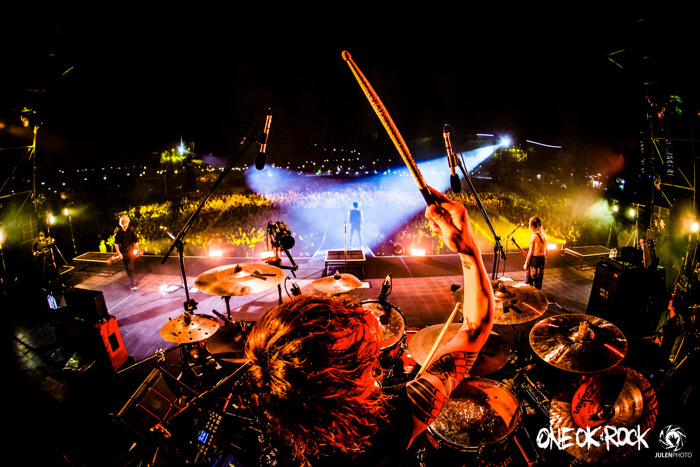 ONE OK ROCK are getting ready for the Japan leg of their world tour with their latest album Ambitions underwing. They began the Asia leg of the tour in January, one show of which was performed in Taipei on January 27. It has been announced that a special 60-minute compiled broadcast of the concert will be aired on Space Shower TV. The concert was the band’s first ever overseas outdoor solo concert where they played to 20,000 fans. The show marks ONE OK ROCK’s first performance in Taiwan in 6 years. Taipei was one of the first places the guys played during their early days when they first began performing overseas. Since there’s no indoor venues that can hold 20,000 people, a special stage was set up outside, marking the band’s first outdoor solo gig overseas. However, the day before the concert, despite the band getting in the mood to perform on the specially made outdoor stage that was placed in huge car park, the rain continued to pour, and they had no choice but to end rehearsal just an hour in. What exactly become of the concert in the end? The program set to air on Space Shower TV will follow the band upon arrival to the location as well as show the live performance itself, behind-the-scenes rehearsal and the members off-stage. In addition, the first broadcast on March 24 will compile a special 5-hour collection of ONE OK ROCK, including their hugely well-received TV show encore they did in the past. 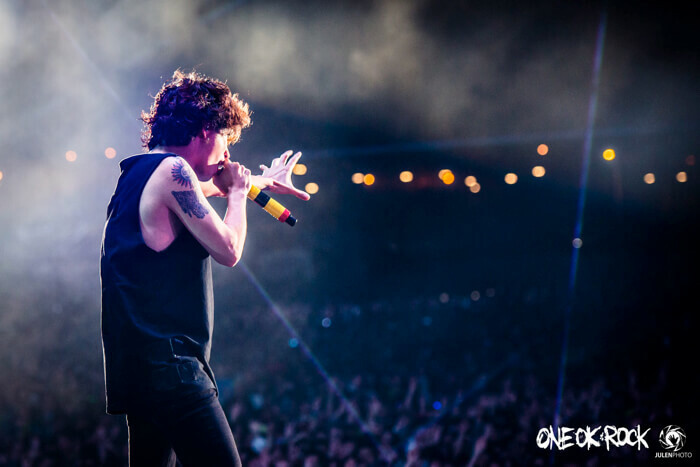 March marks the much-anticipated triumphal return of ONE OK ROCK to Japan for a four-dome tour. Catch the special broadcast of their performance in Taipei on Space Shower TV. Repeat Broadcasts: March 27 at 22:00, April 7 at 20:00, April 27 at 00:30. *TV program encore that aired in January 2017. *Footage of music video shot in Manchester, UK and Los Angeles, US. *TV program encore that aired in June 2017. *Special compilation of ONE OK ROCK on “Monster Rock” which aired when Ambitions was released.